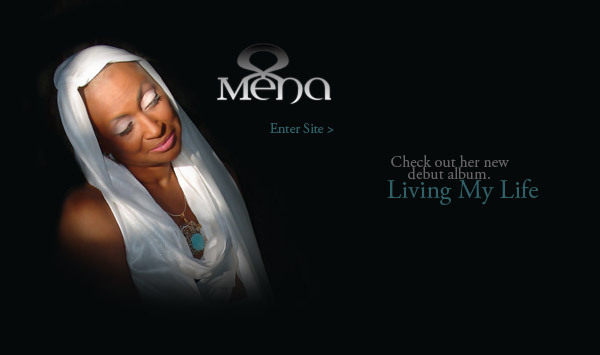 talking about jazzy soul – or soulful jazz music, an album by a songstress named me'na, living my life (us menasvision, 2006) is also worth checking. just like the liberty silver cd, it's a combination of standards (my funny valentine, summertime, down by the river) and new and more soul-oriented songs. of the last mentioned, the title track is an impressive slice of mid-tempo soul with a real instrumentation, including tasty acoustic piano basis and some funky guitar playing. other tracks that should grab your attention include the ethereal, trumpet-flavoured (joe miller) ballad deja view, the extremely stylish flute and piano-laced journey begins with you, the equally elegant ballad tune home and the absolutely wonderful, sax-drenched ballad stoopid. the swaying closing track time is something you might expect from a future ledisi album. if you're into jazzy soul music like fertile ground and more recently the five corners quintet and the invisible session, me'na's cd should be right up your alley!